xTuple is an advanced software package with ERP, integrated CRM and (optionally) eCommerce which comes in editions for Distribution, Manufacturing and Enterprise. All offer multi-lingual and multi-currency capabilities. The basic PostBooks® edition includes all accounting functions and is an excellent upgrade for QuickBooks users who need a more stable, expandable system. xTuple runs on Windows, Mac and Linux, as does the PostgreSQL database it uses. Want it in “the cloud” ? xTuple can host it for you. Want it in a “private cloud”? – You can do that. Want to run it on your own server in house? You can do that. Change your mind? Back up the database, restore it to the new server, point the clients at the new server, done. 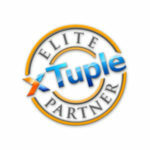 xTuple is available either as a subscription or as a perpetual license with (optional) annual maintenance. Don’t let the ..Books in the name fool you. This is a big step up in features and benefits from that other ..Books software. The free (as in freedom and as in beer) for the first four users PostBooks® edition includes everything a small to medium sized distributor or manufacturer needs to run their business at peak efficiency. Besides the basics of accounting (GL/AP/AR), PostBooks® handles Quotes, Sales Orders, Purchase Orders, Inventory (including multi-bin capabilities, kitting, and an assemble-to-order configurator), Bill of Materials, Work Order, Project Management, and CRM (contacts, opportunities, customer service, todo lists). If you need advanced distribution features, the Distribution Edition is for you. Along with all the PostBooks® features, you get multiple warehouses, emailing documents, EDI, lot/serial control, RMA, revision control, MRP (material requirements planning), and the xWD catalog and enhanced pricing features. The catalog feature lets you easily handle and update large vendor catalogs without cluttering up your inventory with thousands of items you’ve never sold. The Manufacturing Edition provides everything you need to run a sophisticated modern shop. it features multi-plant MRP, production scheduling, bills of operations, breeder bills for process manufacturing, capacity planning, and more.